Mathemagician Andrew Jeffrey is on hand to help you with fun ideas for practising maths at home. 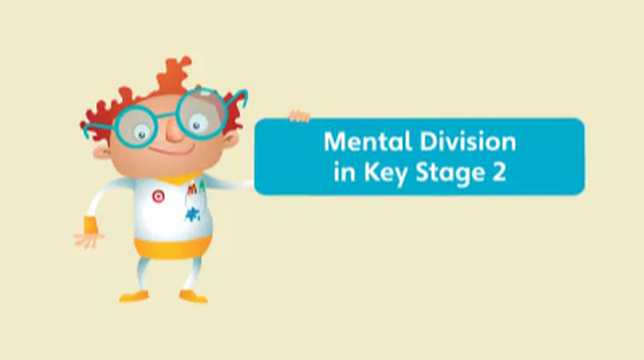 Watch a group of children try lots of fun activities with Andrew, including games to practise times tables. The following link leads to six videos and really good advice. The videos are about: enjoying maths at home, times tables games, games with dice, games with playing cards, an ancient strategy game called NIM and seeing number relationships. What methods are used for teaching how to add, subtract, multiply and divide? Addition and subtraction facts should be learnt by most children by the end of Year 2. 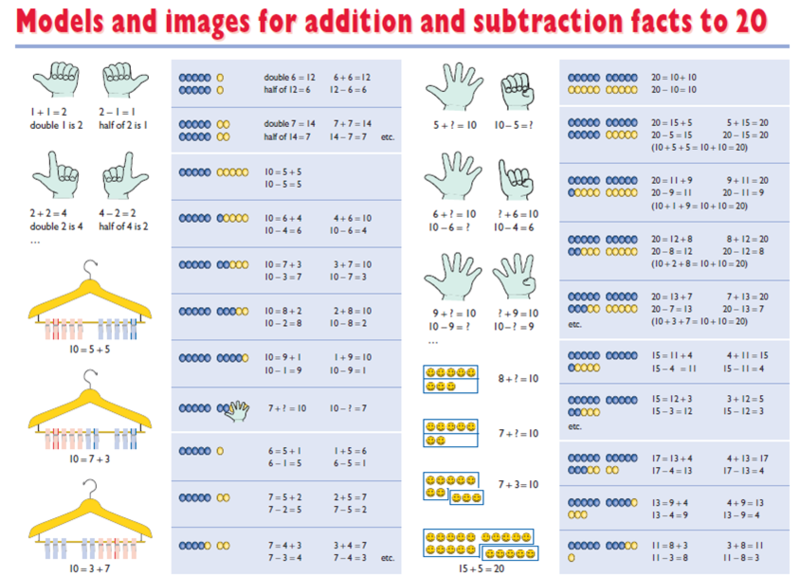 Multiplication and division facts should be known to most children by the end of Year 4. 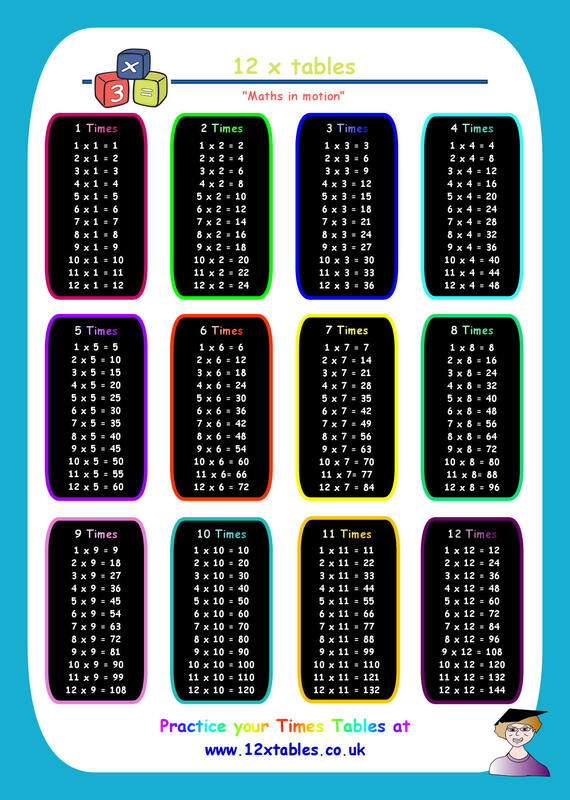 If your child knows their 1, 2, 5 and 10 times tables they will have learnt 34 facts! 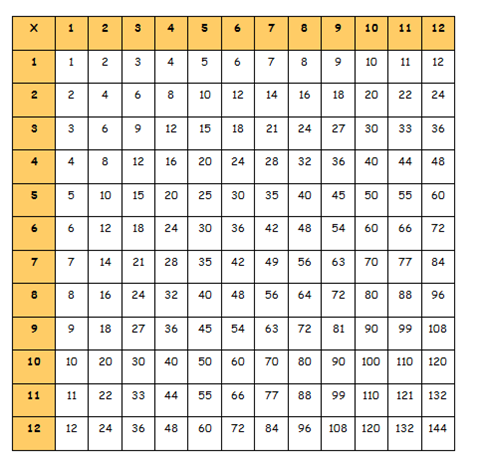 Then just the 11 and 12 times tables to learn! 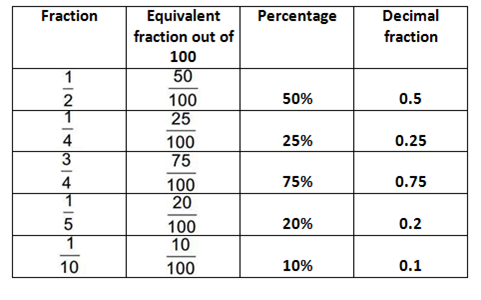 Children in Year 5 and 6 need to know that a fraction is part of a whole and the equivalent decimal values and percentages.